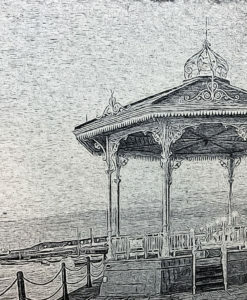 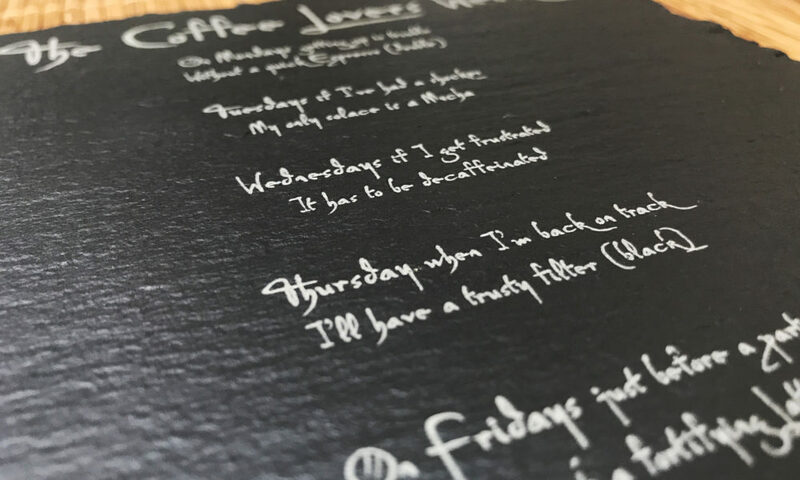 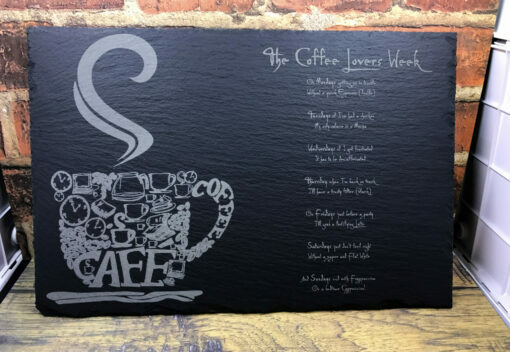 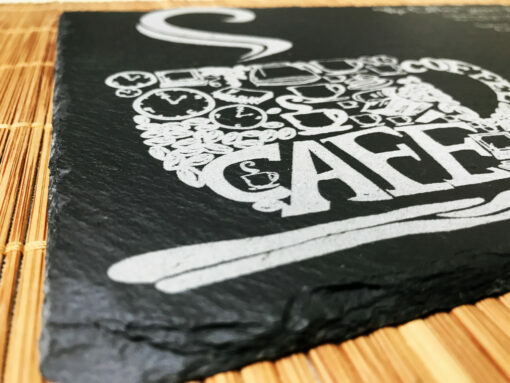 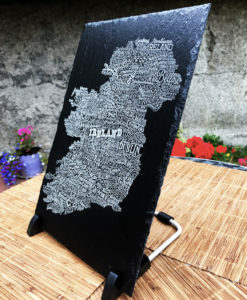 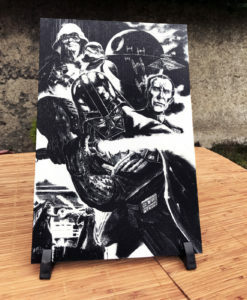 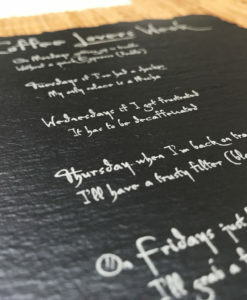 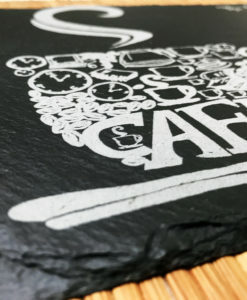 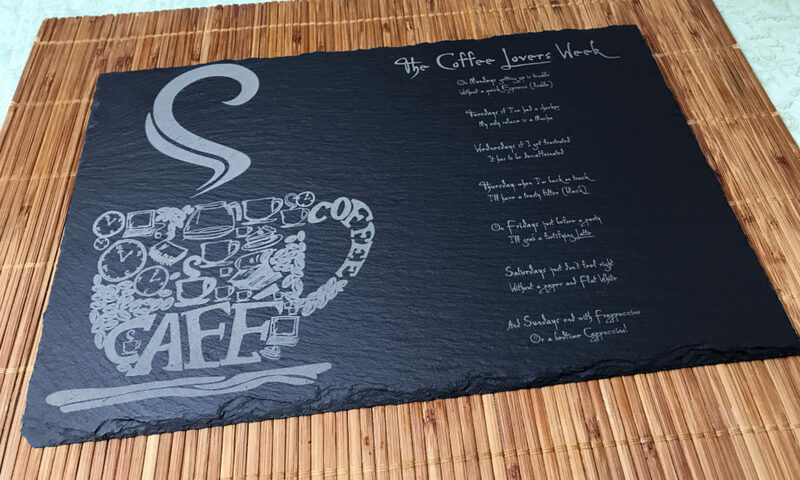 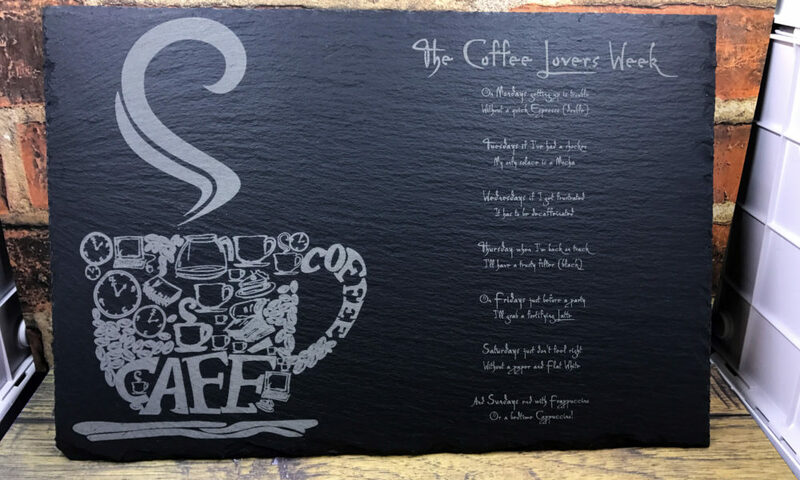 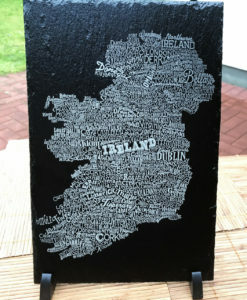 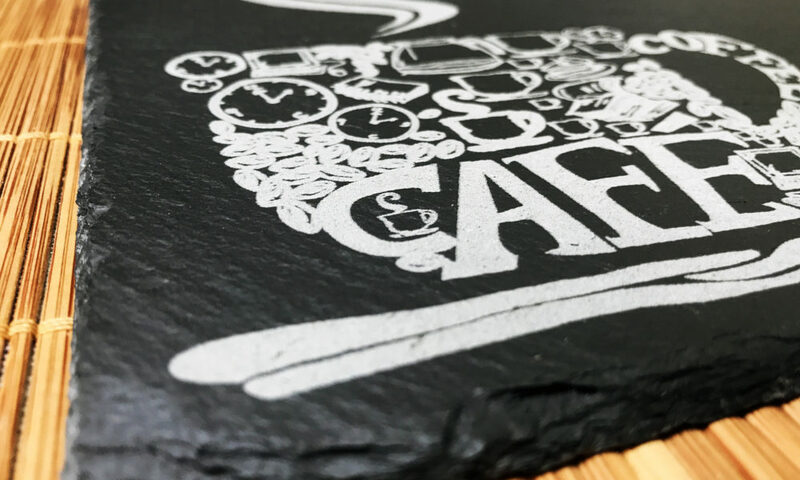 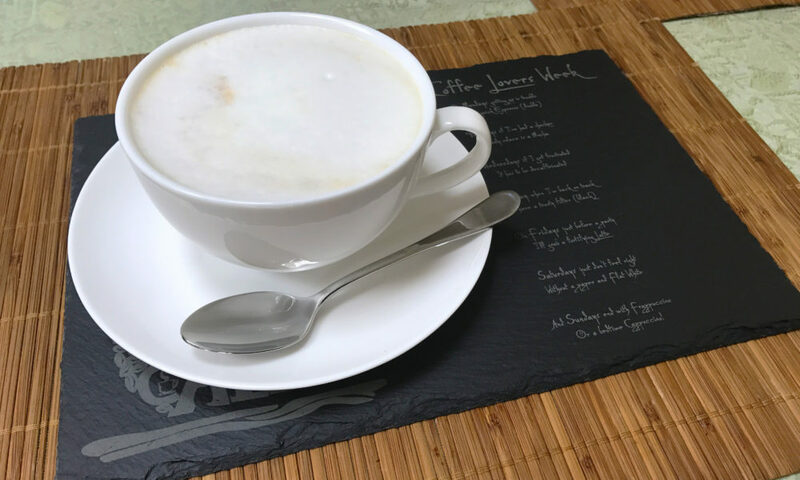 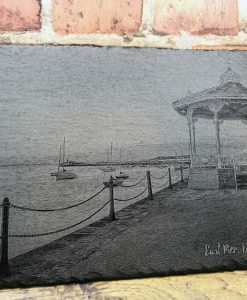 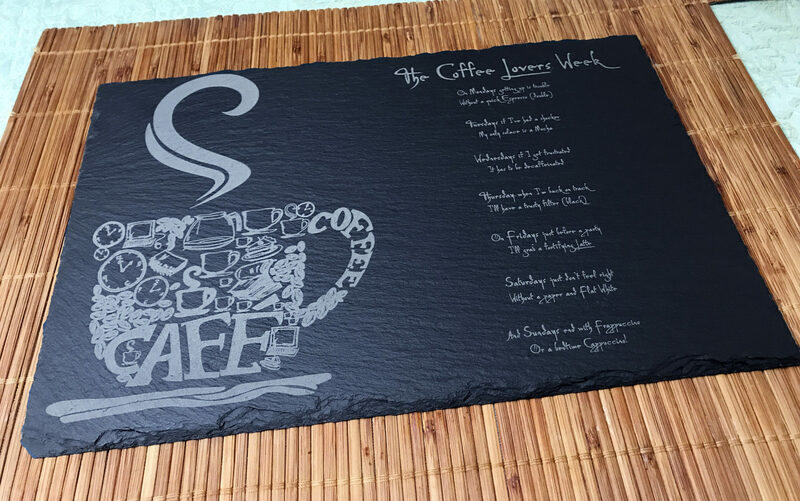 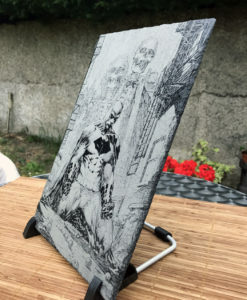 Laser engraved Coffee Lovers slate placemat – 300x200mm(12×8 inches) piece of natural slate. 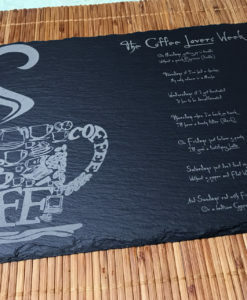 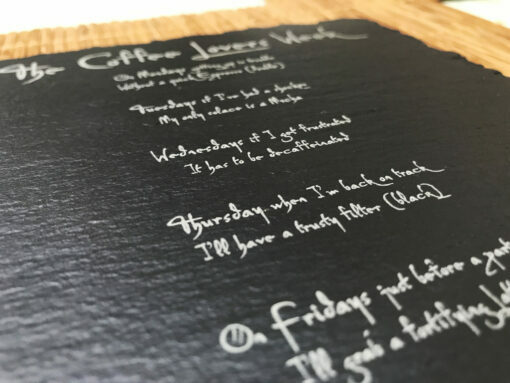 A perfect slate placemat for all you coffee lovers(or as a gift to a coffee lover). 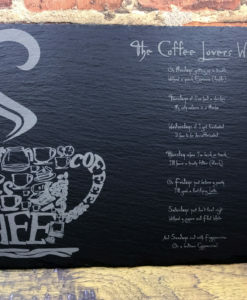 Features a very nice coffee graphic on the left side of the placemat and the coffee lovers week poem on the right. 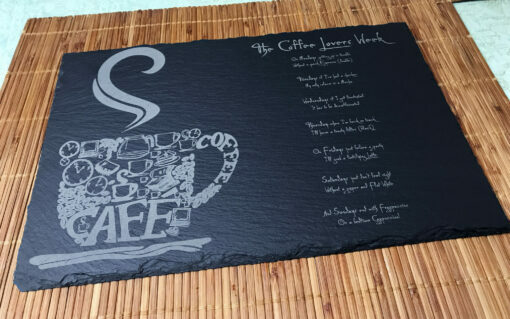 The thickness of the slate varies ever so slightly(it is a natural product after all) but is between 6.5-8mm(0.25-0.31 inches). 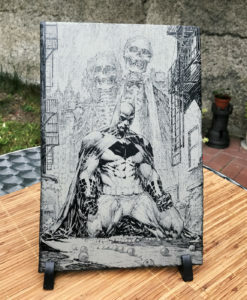 Weight also varies, and is between 750-950 grams(1.65-2.09 pounds). 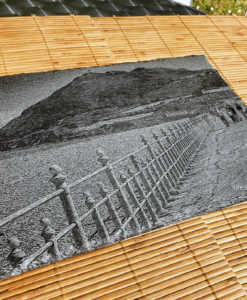 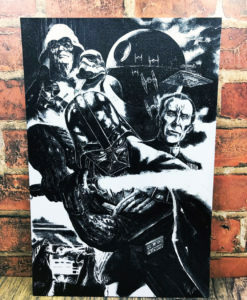 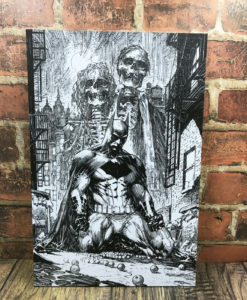 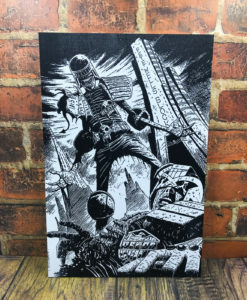 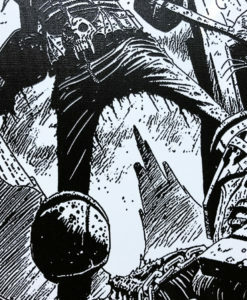 Sold as a single item or in multipacks of 2, 4 and 6 placemats. 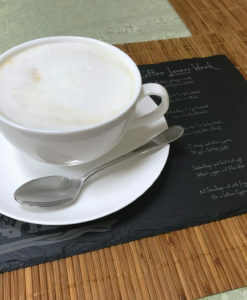 The cost per placemat goes down the bigger the multipack. 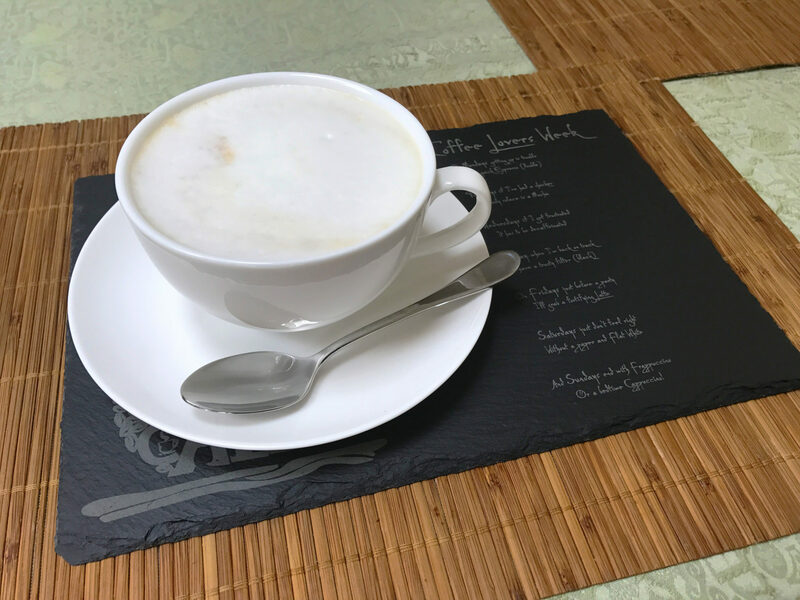 The top surface of the slate placemat has been treated to protect and keep it clean and stain free. 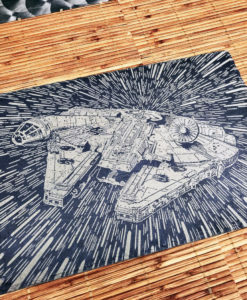 *Not dishwasher safe. 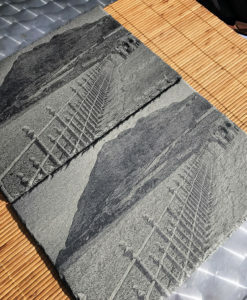 Wipe clean only.